In order to deliver a broad range of expertise that can incorporate developing Fundraising strategies to brand development and design, I work with a number of Associates. Gaby Murphy is Managing Director of Purplegrass Consulting and works with clients on the development, implementation and resourcing of fundraising strategy. Gaby has almost 20 years experience of working with not for profit organisations in the UK and Ireland. 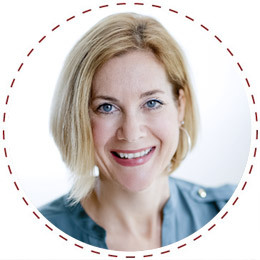 She has a wealth of hands-on experience in delivering organisational strategies at senior management level and leading successful fundraising teams to deliver challenging revenue targets. Fundraising is all about saying the right things to the right people to get the best results so that your organisation can make long-lasting social improvements. Hartland Insight makes sure you can find those people. We help to bring life to your numbers, revealing the mystery inside your database so that you can assess, understand and segment your donor base to get the best results in fundraising and strategically plan for the future. With extensive knowledge and practical experience with some of Ireland’s largest charities, Hartland Insight provides services including campaign, retention and lifetime value analysis, database management and data audits. OC&K is a marketing led business consultancy focused on supplying outsourced solutions to SME businesses and not-for-profit organisations. 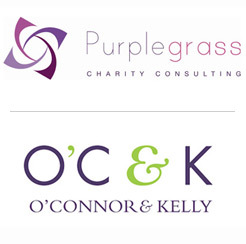 From strategy, through concept development to implementation of Smarter Marketing, Engaging Sponsorships & Social Partnerships OC&K will assist you to build and strengthen the relationships with those people that are the drivers of your business. We have worked with a number of not-for-profit organisations in developing brand and communication strategies as well as giving seminars on ‘Securing Corporate Sponsorship’. More Creative is not just a freelancer agency thats offers web design, but rather it is part of the complete digital solution. We can also help you with strategy, research, online marketing, web development, content management systems, Search Engine Optimisation (SEO), Search Engine Marketing (SEM) and social media. We build strong, long-lasting relationships with our clients who understand that partnering with a proactive digital agency is a key business advantage in the competitive digital market place. As a child growing up, I didn’t want to be a teacher or a doctor or a pop star. I wanted to be Kate Adie. The fierce female war correspondent for the BBC was my role model and inspiration. It wasn’t her fame, or her presenting job, or her beige array of shorts and shirts that got my attention. No. It was the stories she told. We worked with Alana on the copy and design of our first direct mail piece in 2014 and we were delighted with the results. Alana understood our mission and the essence of what we do and captured it perfectly in her copy. She was supportive and positive at every step along the way and overall, a pleasure to work with. 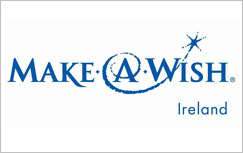 She comes highly recommended by the team at Make-A-Wish.